There's no better way to teach math then to make it fun, and if there's one thing I know for sure... Games are fun. But let's be honest. There are a lot of truly awful free online math games out there. In fact, some of what discover online you would struggle to call a game at all, much less fun. Worse, many of these activities bill themselves as math games when really the math problems are some sort of chore the student has to complete for a reward. Nothing emphasizes the idea that math is boring like making your math game boring too. 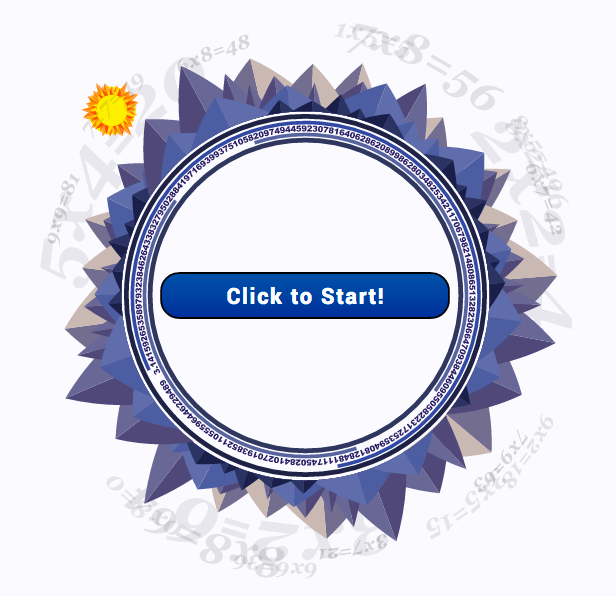 The math games on this page are designed to make the process of learning math enjoyable, where the math problem solving is a cool part of learning. I hope you'll try them out, practice your math facts, and have a good time while you're here. Get started practicing your addition facts with this cool math game! Learn the facts progressively and as you go up levels, the facts get harder! Do you need a multiplication game that really pushes you? Try this one! Students who play this will repeatedly be challenged with the multipication facts they miss, and each level introduces new multiplication facts to master. Ready for subtraction fact practice? This game uses the same speech technology as the addition to help you master subtraction fast! If you've conquered the other operations, division facts will be your final challenge... Try this game and then share the cool artwork it generates at the end on Pinterest or Facebook to let the world know about your math fact skill!